My name is David Cutts and I was born and raised in the great state of Texas. As a child, I spent many hours hunting and fishing with my father. Over the years I grew to have a deep appreciation for the outdoors and a love for nature and wildlife. As an adult, I�ve had the privilege and honor of being able to teach my kids some of the same things my father taught me. As I�ve grown older and wiser (mostly older! ), I�ve realized that what I enjoyed the most about hunting was the hunt and not the kill. That�s when I picked up my camera and fell in love with photography. In 2009, while my wife and I were on our honeymoon in the Smoky Mountains of Tennessee, we were blessed to see one of the most beautiful and exhilarating sights. Standing in the middle of a valley, amidst a light snow flurry, was a magnificent bull elk. We pulled the car over to the side of the road and I grabbed my Canon K2, 35mm camera. I was snapping pictures as fast as I could. The elk was a mere forty to fifty yards away. I think I took two rolls of film in about 5 minutes. I�m not kidding! We stood in awe at the sheer beauty of the moment. We watched the elk for about 30 minutes. The light finally became too low and the snow was falling harder. We packed up the car and headed back to our cabin. The next morning we dropped the film at a drug store to be developed. An hour later we picked up the developed pictures. I could hardly wait to see how they came out. Imagine my disappointment to learn that out of 48 pictures, not a single image came out. NOT ONE! To this day, I still get a sick feeling when I look at those pictures. Now, in my defense, you have to remember, it was late in the evening and there was snow mixed with frozen rain. As bad as the pictures were, this is where everything changed. Sitting in our rented Impala, looking at those horrible forty-eight pictures of one of the most awe inspiring moments of my life, it was then that I decided I would learn how to become a Nature and Wildlife photographer. It is my love for the outdoors that fuels my passion for fine art photography. As a child, I spent countless hours with my father hunting, fishing and camping. It was years later when I traded in my rifle for a camera. More of an observer now, my appreciation and fascination with wildlife and nature continue to grow. I strive to capture nature in its purist form and to share that beauty of the outdoors with every person who views my images. I want my pictures to tell a story, evoke a feeling. The same feeling I get every time I gaze upon the wonder of nature. 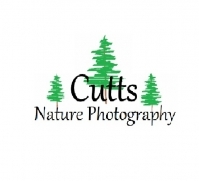 Now that we�ve gotten the intros out of the way, please take the time to browse my website.